Wow! No wonder families return to North Hayne Farm in Devon time after time when you go through the long list of reasons why it’s so good for families with babies and toddlers. Toddlers will bound out of bed in the morning ready to crack on with feeding the farm animals – once they have done this, they are rewarded with a ride on Frosty or Abbott, the resident North Hayne Farm donkeys! With plenty of beaches nearby, and attractions like the Big Sheep or Milky Way within easy reach, it’s no surprise that North Hayne Farm is such a popular choice for families looking for a toddler friendly farm holiday in Devon. Each cottage has its own private hot tub. Twice daily hands on animal feeding sessions suitable for children of all ages. Purpose built play barn for children under 7. Outdoor play areas, activity trails, den building area and even seasonal organised bat walks. 22 beaches within easy reach of North Hayne Farm. Cream tea waiting for all guests on arrival! Relaxing treatments available in the comfort of your own cottage from a holistic therapist. The farm is suitable for those with additional needs including autism. Fancy staying in Jemima Puddleduck or Peter Rabbit cottage anyone? Well at North Hayne Farm you can! All the cottages at North Hayne Farm are imaginatively named after Beatrix Potter characters which makes it even more exciting for toddlers (and big kids too!). 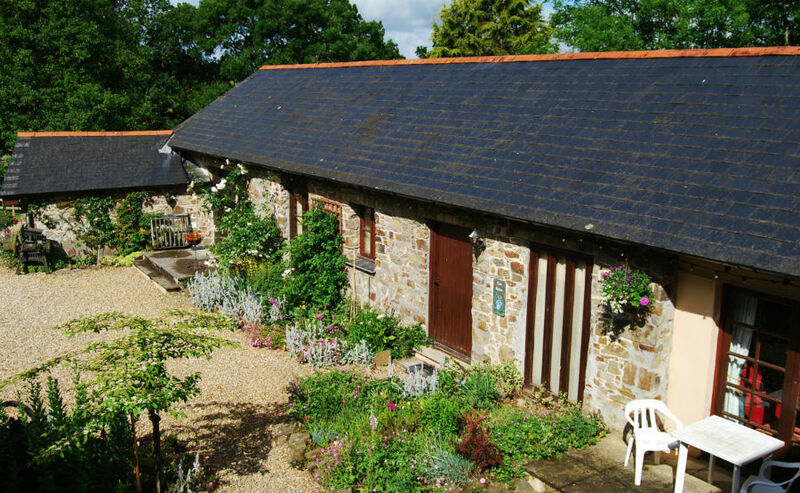 The cottages are set in 10 acres of stunning Devon countryside with far reaching views of Exmoor. They are all converted from former farm buildings and retain many original features such as exposed beams and latched doors. All the cottages are located around a courtyard and have their own private patio area with BBQ and garden furniture (plus a private hot tub). The cottages are spacious, well equipped, cozy and designed with young children in mind. All the bedrooms have blackout blinds, and there is loads of baby and toddler equipment available to borrow. Families can arrange a supermarket delivery prior to their arrival, and the owners will even unpack your shopping and put it away for you! Reasons Why Babies & Toddlers Will Love North Hayne Farm! Feeding Lewecy, Rosie and Baby-Bel the sheep plus bottle feeding the newborn lambs in the spring. Collecting hen and duck eggs. Joining in with Free Rangers – North Hayne Farm’s very own forest school! Making friends in the Play Barn – toddlers will love the ride on toys, play houses, train tracks, books and jigsaws. Going on a Bug Hunt, Bear Hunt or to find the Stick Man within the North Hayne Farm grounds. Activity packs are provided – and they are all linked to the Early Years curriculum too! Looking for Peter Rabbit on the Peter Rabbit Trail. Taking their tractor out for a spin in the Tractor Park. Playing outside in one of the 2 play areas. Having a go at making a den in the Den Building area. There are loads of things to do around North Hayne Farm for families with young children. Take a look at some of the highlights below. Visiting The Big Sheep theme park. Having a day out at the Milky Way adventure park. Hit the beach – there are 22 within easy reach of North Hayne Farm. Check out Woolacombe beach with its safe swimming, Blue Flag status and nature trails. Saunton Sands which has recently been designated as a UNESCO World Biosphere Reserve is also close by. Click here for more info about the best beaches near to North Hayne Farm.